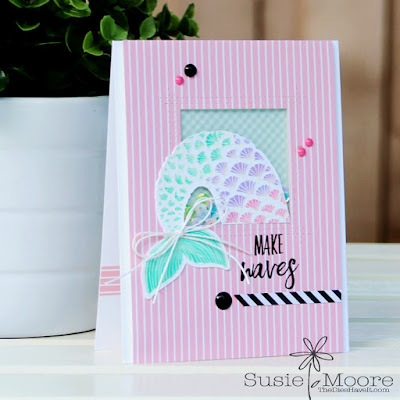 This Mermaid's Tail stamp and die is from Ellen Hutson. I white heat embossed the tail and then colored it in with Copic markers. I love that you could use any color at all on this stamped image! 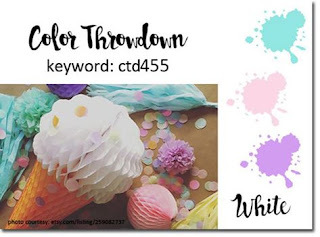 This is such a fun card and just perfect with the throwdown colors! Thanks for joining us in the challenge at CTD! LOVE this Susie! I think I may need to cave and get this tail!! LOVE! 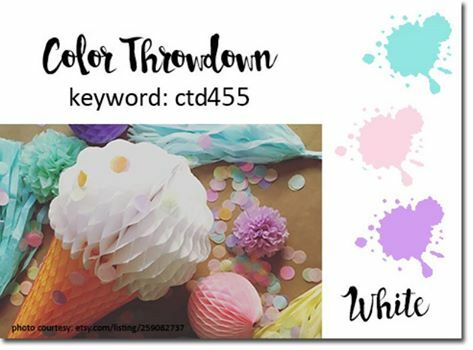 Thanks for playing along with The Color Throwdown!